I have compiled the 12 most important slides that you need in your investor pitch deck or startup pitch deck to win investors. These slides will be helpful to you in your pitch deck design whether you are creating a VC; venture capital pitch deck, startup pitch deck, angel investor pitch deck or business plan deck. There are those who argue on the number of slides a pitch deck should have, while this is a good concern because a pitch deck should be straight to the point, which is one of the key difference between an investor pitch deck and a business plan. Although, some great guys like Guy Kawasaki recommend you having just 10 slides in your startup pitch deck or investor pitch deck, and I am not against that, but then you probably have seen PowerPoint investor pitch decks of some notable companies that raised funds with decks that had more than 10 slides and some even had less! For example Linkedin’s pitch deck, YouTube’s pitch deck, Airbnb’s pitch deck, Contently’s pitch deck, Crew’s pitch deck, WeWork’s pitch deck, MOZ ‘s pitch deck, Mattermark’s pitch deck, MixPanel pitch deck, ThriveGlobal’s pitch deck. All the above pitch decks have more than 10 slides, and they all raised millions of dollars! 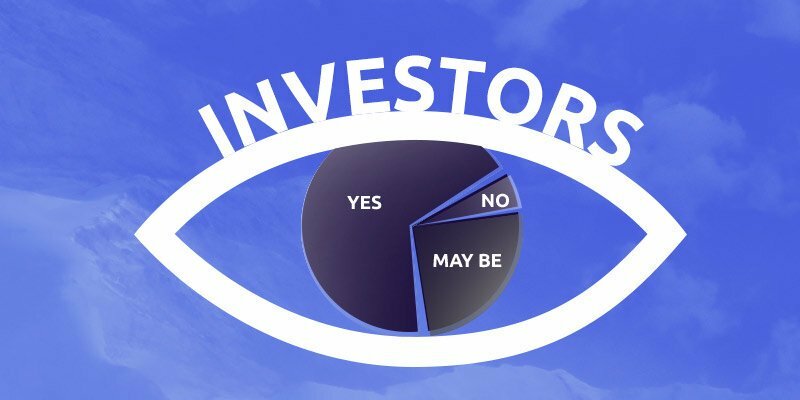 What investors look out for in a pitch deck? What slides should be on your investment deck? This 12 slides guide, will be the only guide you would ever need to create an investor pitch deck that covers the major things investors look out for in an investor pitch deck or Investor PowerPoint Presentation. The problem slide of your investor pitch deck or presentation is a key section of your investor deck the reason is that you really don’t have a business if you are not solving a problem. This slide gives you the opportunity to state the problem that exists. It is always a great idea to make it as simple as possible. One of the things you want to avoid, is having a wordy pitch deck, investors don’t have the time to read every line, so you want to state the problem in one or two sentences. And when you have several problems to state, it’s best to use icons or text boxes to separate the different problems you are stating. In your investor pitch deck, having stated the problems that exist, the next slide gives you a perfect sequence to state the solution you are offering. After stating the problem, a common error I find is that some entrepreneurs have other slides after the problem slide, this is may not be the best, because right after stating the problem, the next thing on the mind of an angel investor or venture capitalist, or whoever is going through your deck or listening to you present your investor powerpoint presentation or startup pitch presentation deck, is to know or see how you solve the Problem(s) you already established in your previous slide. It is advisable to use the same formula you used in stating the Problem, which is, to keep it short and simple using one or two sentences to state your main Solution point and if your Solution has different parts, make use of icons or text boxes to separate your Solution points if your Solution can’t be captured in one or two sentences. When you look at AirBnB’s Investor Pitch Deck or Startup Pitch Deck, you would see that they have a market validation slide, while this slide is not a must have, it’s a good idea to have it in your startup pitch presentation or investor deck. The market validation is where you put key market information to validate that your business solution really has a “market” or that it is viable. This could be stating the number of products you have sold so far, or even putting profitable statistics of your competitors such as their annual revenue, products sold, etc. As a global standard, when stating your market size you want to have the previous performance and future expectation or projection of your market captured. For example, the global market for the internet of things in a building was $26billion in 2015 and it is expected to be $75.5billion in 2021. This would help the venture capitalist or angel investor that is going through your startup pitch deck; see the growth opportunity in your market. Sometimes, there are entrepreneurs who don’t like to admit that they have competitors; this is not a very good idea. The business is not lucrative that is why others are not interested. The entrepreneur doesn’t know is market enough to know the competition. See, every business has competition; it could be direct or indirect. See more on direct and indirect competition. So ensure you state your competition. After establishing the competition, the next thing is for you to state in your investor pitch deck is your unique advantages over the competition. Is your delivery time faster? Are you offering a better service at a lower price? Do you have better technology? You want to be very clear in stating the things that make your solution better than what already exists in the market. A key slide that startup investors pay attention to is your business model slide. This is because; this is the slide in your investor pitch deck, where they expect to see how you make money. Are you operating a subscription model or one-off payment? If you are selling a product, what’s the unit selling price and how many quantities do you project to sell per month, year, etc.? Make sure that your business model slide won’t leave a startup investor or venture capitalist wondering how you make money. Think about it, if you have a good product, and you don’t have customers or people buying your product, that would result in zero sales! So in this slide, you want to show in your investor pitch deck or presentation, how you would acquire customers or clients, what strategies do you intend to employ? Are you going to conferences that have your target market in attendance to demonstrate how your products work in order to get some clients, will you use targeted online Ads, etc. State it! Ensure that your customer acquisition plan is actionable; it doesn’t help to state strategies that you cannot execute. Interestingly most investors would tell you that investors invest in people first before they invest in ideas! So, if you have a solid team behind your business, be quick to state it, and more importantly, you want to show their credibility; why they are a good fit for your business. This could be by stating their previous roles, and key achievements. But one thing you don’t want to do is to use long sentences in stating why they are credible, it’s better to use bullet points in stating the different achievements for each team member. This makes it easy for one to see the highlights of their achievements. Another method is to use the combination approach. Instead of stating the individual experience, you just cumulate it. Okay! So how much do you project to make? Well, the financial projections slide is where you want to give your projections. As a standard, a 3 or 5 years projection is ideal! It’s better to use a bottom-top approach, so instead of stating you would make some big bucks overnight, state your financial projections in a way that it accommodates your business growth. So, it’s expected that your total revenue for Year 2 should be greater than the revenue for Year 1. Don’t forget to state your revenue, expenses, and profit/loss in this section. Of course, you don’t need to have heavy financials in your investor pitch deck; you can even use a chart showing the financial projection covering revenue, cost, and profit/loss for the number of years you are projecting. This is yet another very important slide investors want to see when you are pitching your idea or business to them. Through the years, I have seen businesses fail to raise funds because they could not state their traction, either while presenting it physically or on their deck. Like Rand Fishkin CEO of MOZ observed that by putting their traction in a more strategic location in their investor pitch deck or startup pitch deck, they got more invites from investors. So let’s say you already got government approval for your business, or you have your prototype, active customers, you are already making a profit, and things like that, this is the slide you want to state it! So after stating all these amazing points in your slides and you have captured your reader’s attention, this slide gives you the opportunity to state what you want. Do you want a partnership, equity investment, etc.? If you are seeking equity investment, how much is it and what is the percentage equity that you are offering in return? Make it very clear in your investor pitch deck what you want, because this is perhaps the reason you prepared an investor pitch presentation or pitch deck in the first place. Now is the time to state what you want in your investor pitch deck or startup pitch deck and you know what? State it! Whether it is just a pitch deck design service you need or a pitch deck writer that will create a captivating investor pitch presentation or pitch deck, we are here to help you. Let’s start the conversation here. Yes, I know, I said 12 slides. It’s important you note that the Use of Fund’s slide of your investor pitch deck can actually be merged with your ASK slide. If what you were asking for was a financial investment, this slide gives you the opportunity of stating what you will use the funds for if invested. But while stating this, note that investors don’t like to see that you are asking for funds to pay salaries. It’s better to state things that when done or executed would lead to the growth of the business. Sometimes, you could use a pie chart to show how the money would be distributed. By doing it this way, you would have percentages assigned to each use of fund. Also, sometimes when an investor PowerPoint presentation is designed, special fonts are used, and if you have to send out your investor deck over email, it could look unstructured on the other end if they don’t have the special fonts that were used in your pitch deck design. To completely avoid such from happening, it’s best to convert your investor pitch presentation to PDF when sending, this way, the design and fonts would be preserved! Now, with these slides in your investor pitch presentation, PowerPoint presentation or startup pitch deck, you are better positioned to win investors. Want a professional pitch deck consultant to help you with your pitch deck? Let’s help you here. Besides just having a great pitch deck content, you need a modern and captivating design to help you show professionalism when any investor sees your deck. You can get a great design service from us; you can contact us right now.